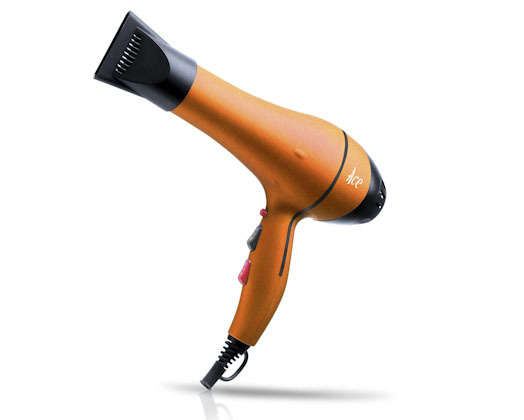 2000w ac motor hair dryer. Fitted with 3 pin plug. 2 speed and 3 heat settings.